The Clean Cooking Forum 2017 just wrapped up a successful Day 2. 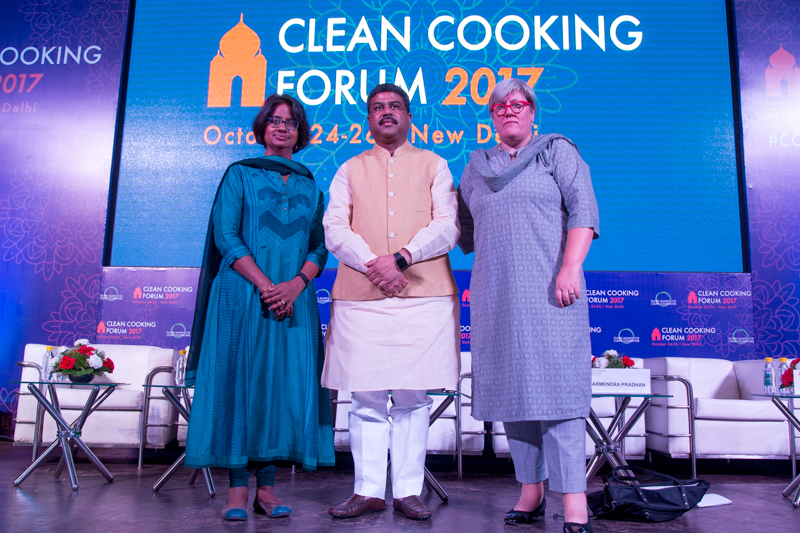 India’s Minister of Petroleum and Natural Gas Dharmendra Pradhan headlined the day’s activities, bolstered by a powerful address from Sustainable Energy for All CEO Rachel Kyte and a performance from longtime clean cooking champion Rocky Dawuni that had the crowd in the standing-room-only auditorium dancing in the aisles. 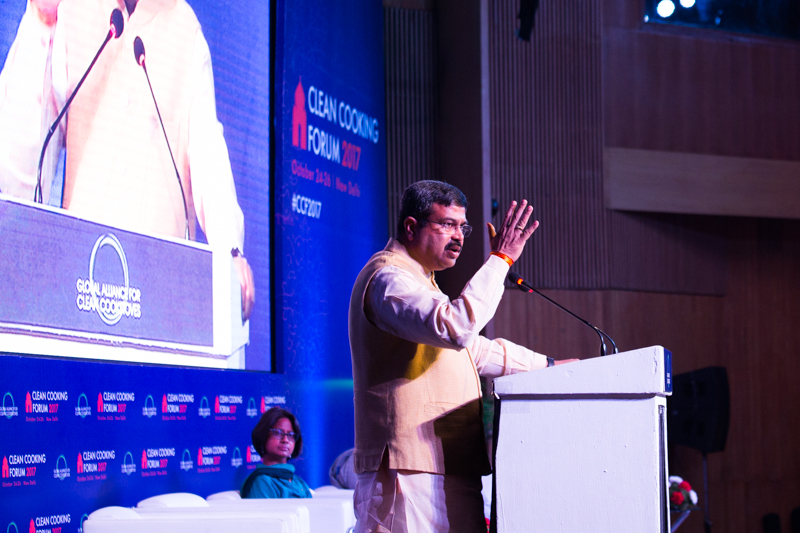 Honorable Minister Dharmendra Pradhan shared the goals and successes of Prime Minister Modi’s PMUY program as he emphasized the importance of sharing best practices and putting women at the center of our work. His speech was followed by remarks from Rachel Kyte, who issued a global call to action to ensure energy access to the poorest of the poor, and a panel discussion on designing investments to drive market growth. Our primary aim is to address how to improve the health conditions of women, how to provide environmentally friendly fuel to the household, and how to add additional income. Without the full dignity, empowerment, and economic opportunity for women, there is no way to achieve the Sustainable Development Goals, nor will we achieve the Paris Climate Agreement goals if we balance emissions and air quality on the backs of the poorest and most vulnerable. Within our partnership with the Global Alliance for Clean Cookstoves, we see ourselves as an ecosystem builder. We are building a Tata Trusts smart energy incubator center where innovators can come into a physical lab and experiment with their ideas. 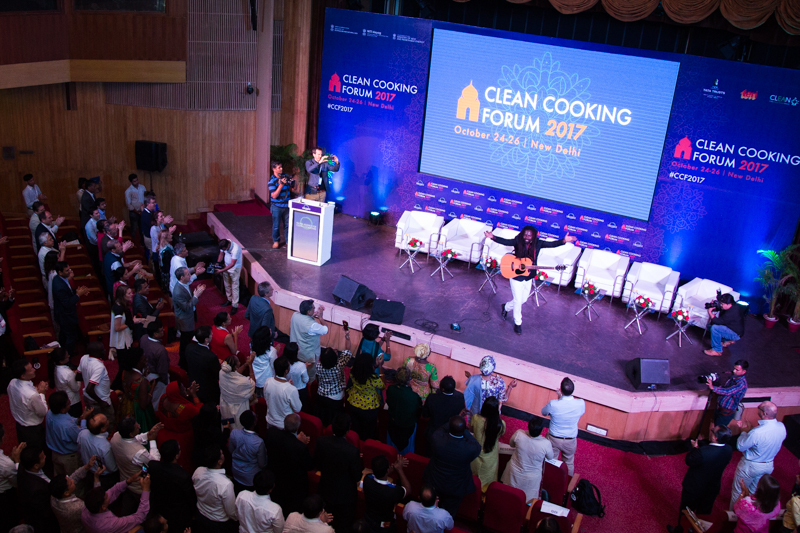 Led by Bhushan Tuladhar from UN-Habitat in Nepal, this session featured actors who have not traditionally been involved in clean cooking but are now beginning to engage. Panelists included organizations focused on community building and aid in Nigeria (Africare), wildlife conservation in India (Wildlife Trust of India), environmental conservation (WWF Nepal), and technological innovations and developments (Intellectual Ventures laboratory). The discussion covered challenges faced by new actors in the sector, successes they have achieved, and opportunities moving forward. There is a need to expand our roles and collaborate across sectors. New actors provide fresh ideas. Convening is powerful. The key to engaging stakeholders is understanding the depths of the issues. This integration is critical to convene stakeholders, identify problems, and empower communities to enact solutions. Consumers spend 20 billion dollars every year on cooking fuel in Sub-Saharan Africa, and only 5% use LPG as their primary fuel. Panelists from the Netherlands Environmental Assessment Agency, Netherlands Enterprise Agency, the Global LPG partnership, EnDev, UC Berkeley, ESMAP/World Bank Group, and the Global Alliance for Clean Cookstoves engaged in a discussion on how the sector can transition to cleaner cookstoves and fuels as well as the different roles that stakeholders must play to ensure that this transition takes place. A key point was that the sector must adopt a true market-based approach to enhance supply, drive demand, and ensure sustainability. However, panelists recognized existing challenges to achieving this goal, including the challenge of engaging the donor and investor community to take clean cooking enterprises to the point of invisibility, and the fact that biomass cannot be entirely left behind all at once. If we are going to take on this ambitious target, if we are serious, we should look beyond individuals and projects and look to move forward on a global scale. We have to nurture the pipeline and take it to investment readiness. There is a lot of focus on feeding the pipeline, but not enough on nurturing to the point of investment readiness. Long-time clean cooking ambassador Rocky Dawuni energizes the crowd. 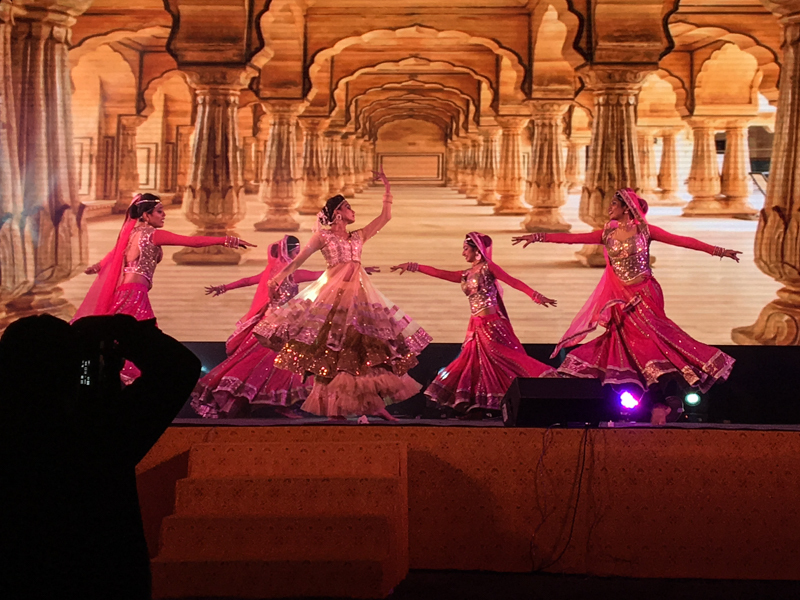 Day 2 culminated with a dinner and dance performance by a local Indian dance troupe. 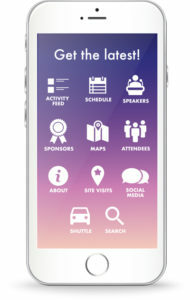 Download the Forum App to have the schedule in your hand, connect with fellow attendees, and comment on the days events. Get the app here.